Instagram has announced a clampdown on images of self-injury after a British teen who went online to read about suicide took her own life. The Facebook-owned picture sharing platform’s announcement followed a Thursday meeting between its global chief Adam Mosseri and British Health Secretary Matt Hancock. British teen Molly Russell took her own life in her bedroom in 2017. The 14-year-old’s social media history revealed that she followed accounts about depression and suicide. The case sparked a vigorous debate in Britain about parental control and state regulation of children’s social media use. “It is encouraging to see that decisive steps are now being taken to try to protect children from disturbing content on Instagram,” said Molly’s father Ian Russell. “It is now time for other social media platforms to take action.” Molly’s parents did not directly blame Instagram for the loss of their daughter. But they cited the easy access to such posts as a contributing factor, to which Instagram should respond. Instagram has never allowed posts that promote or encourage suicide or self-harm. But it will now remove references to non-graphic content related to people hurting themselves from its searches and recommendation features. It will also ban hashtags -- words featuring a “#” that mark a trending topic -- relating to self-harm. The measures are meant to make such images more difficult to find for depressed teens who might have suicidal tendencies. 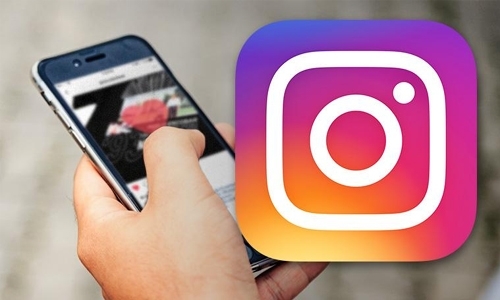 “We are not removing this type of content from Instagram entirely,” said Mosseri. “We don’t want to stigmatise or isolate people who may be in distress and posting self-harm related content as a cry for help.” Instagram is also reaching out to counsellors to see how they can engage with teens who the platform thinks need help. Instagram’s Mosseri told The Telegraph that he supported statutes being considered by the British government “as a concept”. “There is a lot of regulation already,” said Mosseri. “We think it’s important to collaborate with policy makers so that ... whatever legislation or processes they put in place work, make sense.” The UK government this month will publish a “white paper” on harmful online behaviour that will be used as guideline for possible oversight rules. “The task is to design a system of oversight that preserves what is best and most innovative about the online companies but which also insists that they do what they can to keep the users of their services safe,” UK culture minister Jeremy Wright wrote in The Times.